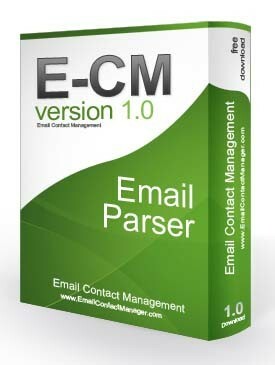 eMail Contact Manager is a professional and advanced email parser and contacts list manager. There's no need to copy and paste details from emails any more as eMail Contact Manager is an email parser. Any info you can collect from your lead capture page and send via email (see our website for examples) can be imported into your Contacts List using eCM. Automatically track and update unsubscribers, split, join and export contact lists as desired. TE Parse email messages (extract details). TE Import emails directly from a POP3 account or Microsoft OutlookT«. TE Import & export csv and xml files. TE Edit, re-arrange and sort with ease. TE Combine and separate lists easily. TE Relevant metrics at a glance. TE Contacts list's remain private. TE Clean-up poor data in seconds.